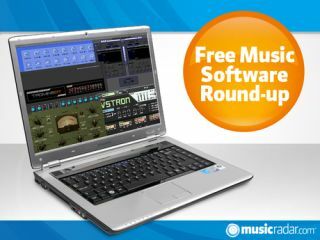 The end of January is always a tight time as far as money's concerned, but don't worry: we've got five potential refreshers for your music making setup that won't cost a penny. This compressor promises to deliver an "aggressive hammering sound," which its developer says makes it suitable for rock drums and bass. It can be employed on individual tracks or busses and is kitted out to look like something to look from the USSR military - you can even change the knob labelling into Russian if you want the full effect. This plug-in was inspired by Korg's monotron and is specifically designed to help you create special FX sounds (lasers, sweeps, bleeps etc). To this end it includes an oscillator, filter and main envelope, while a further two envelopes and two LFOs are supplied for modulation purposes and there are also some built-in effects. This 10-band EQ was previously Windows only but is now available for Mac, too. Bands 1 and 10 are low and high-shelf filters respectively, while all the other bands are peak filters. You can toggle each band on or off by clicking its green button. Designed for creating "rich and vibrant" bass sounds, this two-oscillator synth has drawable envelopes for its amps and LFOs. There's also a wetness option for each oscillator (with wet, intensity and rate knobs) which, when applied, is said to give your bass sound "an intriguing feel". Subliminal is being distributed via a pay-what-you-want system.